What has struck me from the moment I started teaching comics is how well-suited they are as an educational tool. 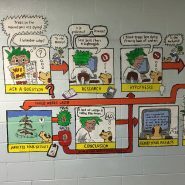 The combination of words and pictures allows for multiple entry points for students with different talents, and many of the concepts they need to master for language arts are built into the medium. Additionally, the form has a flexibility to adapt to different curricula and, perhaps most important, kids love comics. 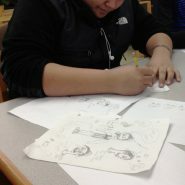 Graphic novelist Kevin C. Pyle has been teaching graphic novel/comics workshops since 2007. He has taught in a wide variety of educational environments, including the Montclair Cooperative School, Montclair State University, and Princeton University. He is the author/illustrator of the graphic novels Blindspot, Katman, Take What You Can Carry, and Bad For You, all published by Henry Holt for Young Readers. Blindspot was included in the Best American Comics for 2008. He is also the author/illustrator of several non-fiction social justice “docu-comics,” including Lab U.S.A.: Illuminated Documents, which won the Silver Medal for Sequential Art from the Society of Illustrators. 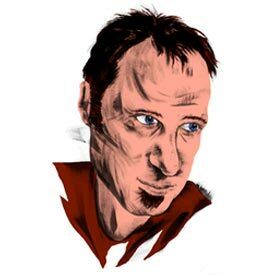 He has done illustrations for The New York Times, The New Yorker, The Wall Street Journal, and numerous other publications, and has done social justice comics about incarceration, worker’s rights, and immigrants’ rights.